Zimbabwe is now at the crossroads. Everything that can go wrong has since gone wrong. It is apparent that the Zanu PF regime is totally clueless regarding how to extricate the country from this debilitating economic mayhem and liquidity crunch. We are at the deep end. No amount of propaganda and spin can camouflage the excruciating and grinding poverty that is being experienced by the majority of the people on a daily basis. Something has got to give. It can no longer be business as usual. Zimbabwe is crying out for an urgent economic and financial rescue package. The Zanu PF regime’s main challenge is lack of political legitimacy. This is a renegade and rogue administration that is completely and utterly incapable of rescuing the situation in the country. Time is of the essence. The future of Zimbabwe is firmly in our hands. None but ourselves can set us free. There is a total failure of government and the centre can clearly no longer hold. The MDC T would like to call upon all patriotic and peace – loving Zimbabweans to join hands in finding lasting and effective solutions to extricate our beloved motherland from the prevailing political and socio – economic quagmire. The country urgently needs no less than $300 million to import food in order to avert starvation in the country. As a direct result of the ruinous agricultural policies and violent so – called land reform program undertaken by the beleaguered and faction – ridden Zanu PF regime over the past 15 years, the country has only managed to harvest a paltry 49% of its national maize requirements. At least 7 million Zimbabweans are facing the grim prospect of starvation. Robert Mugabe and his rogue administration are bankrupt and they will not be able to harness adequate financial resources in order to import the maize that is now urgently required. The situation cannot be more desperate than what it is right now. Instead of crafting policies targeted at rescuing the fast deteriorating political and economic situation, the Zanu PF regime is obsessed with internal fighting. The various antagonistic factions within the crumbling Zanu PF political formation are pre – occupied with decimating each other instead of concentrating on essential matters of governance. The country is on virtual auto – pilot as the nonagenarian Head of State continues with his endless, fruitless, purposeless and expensive foreign jamborees. It is high time that the renegade Zanu PF regime is called to order. The streets of the country’s major cities, towns and growth points are teeming with thousands of desperate vendors who are struggling to eke out a living day in and day out. There is virtually no meaningful domestic and foreign direct investment (FDI) that is flowing into Zimbabwe mainly because the Zanu PF regime has effectively lost control of the state apparatus. We are now a virtual banana republic where the right hand doesn’t know what the left hand is doing. There is no sequencing and co – ordination of government policies, laws and programs and as a result, the few foreign investors who are making enquiries about investment opportunities in Zimbabwe are getting confused and frustrated and naturally, they end up taking their money to more attractive investment destinations within the SADC region and beyond. 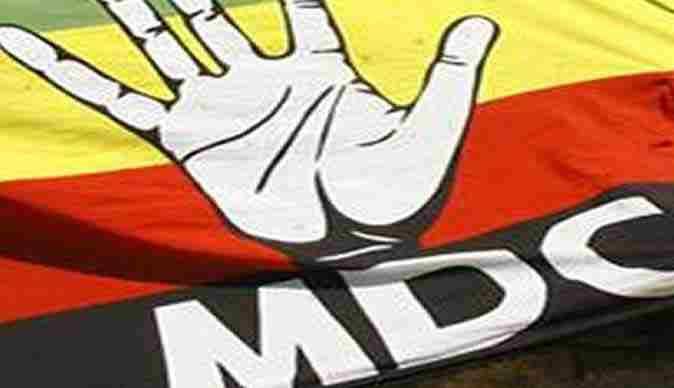 The MDC calls upon both SADC and the AU to put their focus on Zimbabwe once again. It would be folly for these two organisations to proceed as if there is no crippling crisis in Zimbabwe. Robert Mugabe and his rogue Zanu PF regime should be confronted and told, in no uncertain terms, that the deteriorating political and economic situation in Zimbabwe is now a serious threat to both regional and continental security and stability. The situation should not be allowed to deteriorate any further. In this respect, therefore, there is a crying need for SADC to call for an urgent summit to discuss the deteriorating political and economic situation in Zimbabwe. More than 100 days after State security agents abducted journalist and human rights activist, Itai Dzamara, we have a regime that is not even bothered about providing security to its citizens as well as guaranteeing the safety of all its citizens ; regardless of political affiliation. Zimbabwe is now a regional and continental flash point.MDC T: Equal opportunities for all.